For New Englanders who are able to fly west to ski, it’s hard to top Park City. In the 1970s, my family had a tradition: Each February, my parents would pull my sister and me out of school for a week and drive to Bromley Mountain in Peru, Vermont. We’d share a slope-side condo with three other families — eight adults, eight children — forming a cramped, temporary quasi-commune. In the evenings, the kids played board games in the loft; downstairs, the parents swilled Bloody Marys. Everyone ate chili and listened to Fleetwood Mac — and at 9 o’clock each morning, everyone suited up for group ski lessons. For a few hours, we’d ski in single-file lines while an instructor critiqued us. We’d do drills; in one, we loaded cafeteria trays with snowballs and held them aloft, competing to see who could ski to the bottom with the most snowballs intact. Each Friday, we’d race on the slalom course, then brag over the awards given out at the lunchtime graduation ceremony. Our annual ski weeks ended when I entered high school and skipping a week of classes was no longer possible. Still, those days at Bromley remain an idyllic, recalled-in-sepia childhood memory — and thanks to so many mornings in lessons, I became a decent skier. Today life is more complicated. My sister and I each have three children, but due to busy schedules, their opportunities to ski together are limited. 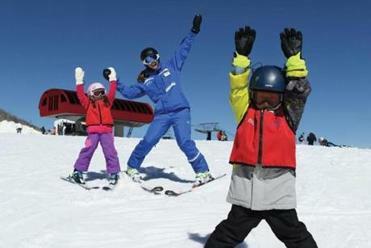 So in March, her family of five, my father, two of my children, and I flew to Park City, Utah, determined to give our kids a taste of what we’d experienced back in the day — and, for the first time in decades, to take a ski lesson to try to improve our skills. For New Englanders who are able to fly west to ski, it’s hard to top Park City (parkcitymountain.com). 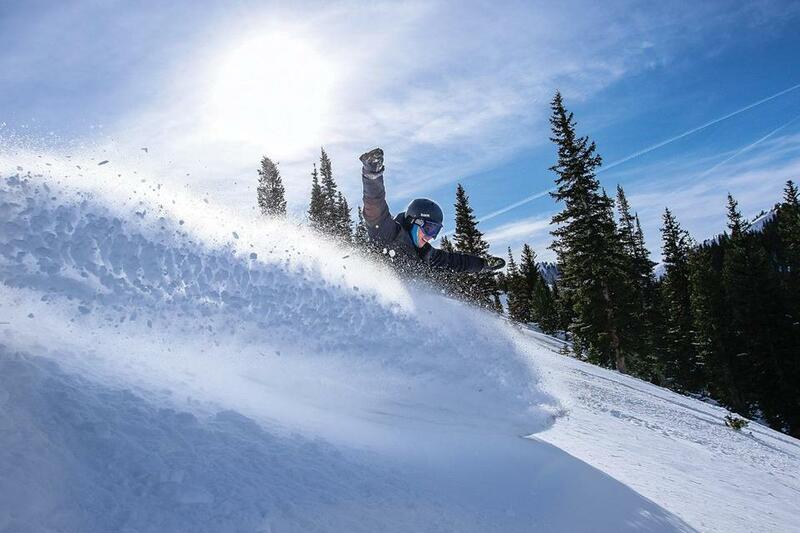 In 2014, industry behemoth Vail Resorts purchased Park City Mountain, and the following winter combined it with the adjacent Canyons, creating North America’s largest ski area. (Vital stats: 348 trails, 41 lifts, eight terrain parks, and 7,300 skiable acres.) A mile or so east of downtown Park City lie another 101 trails at Deer Valley, which topped Ski magazine’s 2017-2018 reader poll and is renowned for customer service on a par with the Four Seasons. For off-the-slopes activities, the former silver-mining town of Park City features art galleries, brewpubs, and spas. We hope to spend as much time as possible skiing, but if weather foils those plans, Park City offers many contingencies. 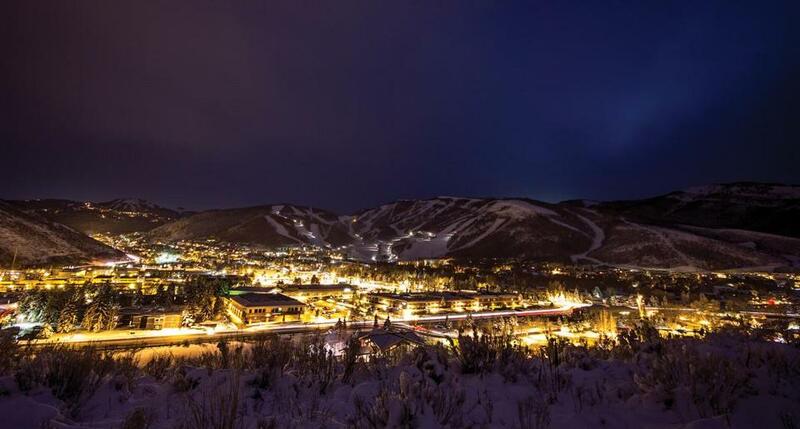 As our base of operations, my sister, Patty, secured a three-story Airbnb in Old Town, within walking distance of the base of Park City Mountain and, in the opposite direction, Main Street. Its outdoor Jacuzzi and motorized massage chair were perfectly matched for apres-ski evenings. 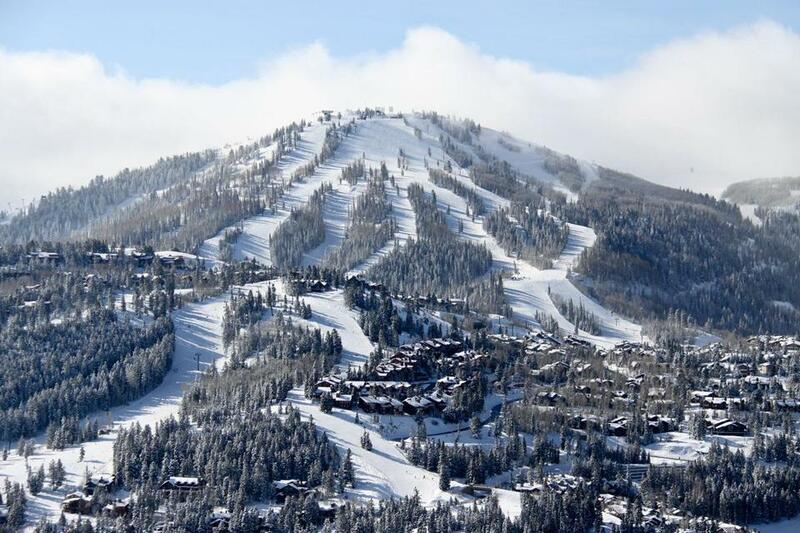 For people accustomed to East Coast skiing, the size of Park City Mountain can be overwhelming. Simply getting from the base at Park City to the base at Canyons requires riding three lifts, including a gondola (and if you get stuck in the wrong spot late in the day, you may be forced to take a shuttle bus to get back). Our first morning out, we avoid the lifts running to the peaks (where nearly every slope is double black diamond) and stick to mid-mountain blue runs. Conditions are perfect — sunny with temperatures in the 30s — and Patty, who spent a season as a ski instructor at Beaver Creek, Colorado, in her 20s and has skied Park City previously, takes the lead choosing trails. For a group whose ages range from 8 to 73, we ski together well. What they say is true: Skiing is like riding a bike, and even if it’s been a while, after a few runs the skills return. Advanced skiers tend to prefer Park City Mountain to Deer Valley because the former is more challenging. We break for lunch at the Mid-Mountain Lodge. We’d been told the food at Park City and Deer Valley’s lodges is out-of-this-world good (with prices to match). Each offers more variety and fancier fare than a typical New England lodge, but we stick to burgers, soups, and kids-menu items; it’s better than fast food, but nothing to swoon over. Afterward, we ski to the base, put the kids into a lesson of their own, and meet up with Dottie Beck, who’s taught skiing at Park City for 27 seasons, for a private lesson. Like us, many of Beck’s clients have reached what she calls the “intermediate plateau,” meaning we’re solid skiers on smooth terrain but lack confidence in bumps or powder. Three hours isn’t a lot of time to fix that, but she leads us to a lift, determined to try. During our first run, Beck leads us down an easy blue, and instantly my father seems puzzled. He’s used to our group lessons at Bromley, where the instructor routinely pulled over to let us ski ahead, keeping a close eye on our form. Instead, Beck stays at the head of our five-person formation, stealing only quick glances back. “She’s hardly watching us at all,” Dad says to me on the second run. It’s our first indication that this lesson won’t be drill-and-skill. Instead, it’s focused on what resorts call “touring,” in which an instructor aims to take us to hidden pockets of great snow, or less crowded areas, or trails we might not find on our own. After a few runs, Beck leads us to the gondola, where we remove our skis and head over to Canyons, the distant side of Park City Mountain we probably wouldn’t have visited had she not pushed us in that direction. Although we do no drills, Beck does offer subtle instruction in the vein of the Mr. Miyagi character from The Karate Kid (“wax on, wax off”). In a phone interview after our lesson, Beck says that for intermediate skiers, she prefers to offer “tips” instead of “drills,” and over the course of the afternoon, she offers me several. Instead of looking down at my skis while I turn, I need to focus ahead toward the next turn I’m going to make. A few runs later, on a steeper trail, she suggests I make rounder turns and try to spend more time with my skis pointing down the mountain, instead of zigzagging sharply to control my speed. Midway through the lesson, I notice that I’m unusually relaxed. I realize it’s the first time in a decade I’ve been on a ski slope without being responsible for my kids. This lack of vigilance and the ability to focus on my own skiing is freeing. In a perfect world, we’d take more private lessons — but in reality, we can’t afford it. A three-hour private lesson at Park City costs $670 plus tip, so we’re limited to a single shot of instruction. By the end of the lesson, we’ve given it mixed reviews. My father, the most experienced skier in our group (he’s skied the Swiss and Italian Alps, along with much of the Western United States), is the least happy. He says most big resorts offer free daily group tours of the mountains, and he prefers a lesson more focused on hard-core instruction. My sister, who’s taught ski classes herself, is less critical: There’s only so much an instructor can do with four skiers of varied ability in three hours, she says. I fall somewhere in the middle. I’m surprised by the lack of drills and instruction and wonder if we would have gotten just as much from a cheaper group lesson. But I realize that in ski lessons, as in golf lessons, it’s useful to come away with just a couple of simple tips to focus on. The next morning, we wake to rain. My father, a former recreational pilot who watches the weather closely, predicts that even if it’s raining at the base of the mountain, it’s probably snowing higher up, so we snap on our skis in a light drizzle. Sure enough, a quarter of the way up the first lift, the rain turns to large-flake snow, and we see no rain the rest of the day. After a series of easy runs, we defer to the kids, who lead us into the trees for some glade skiing. It’s harrowing, and afterward we retreat to the familiar blue runs. Throughout the day, I try to internalize Beck’s tips: Focus on the next turn. Point your skis downhill. In theory, Park City is a great place to eat. Main Street is lined with highly rated restaurants, and visitors with cars can find even more options in the surrounding area. But our group of nine — including five children who require kid-friendly food — creates logistical challenges. On Friday night, the only place we can get a table is Buona Vita (buonavitaparkcity.com), an Italian restaurant on Main Street. Service is slow, the pizzas and pastas passable but unmemorable. The highlight of the meal is watching as one guest steals another’s reservation (by glancing at the names in the reservation system while the hostess isn’t looking) and nearly getting into a fistfight when the table’s rightful owner shows up. Our best family meal comes serendipitously, early Saturday evening. After a long ramble up Main Street — we stop in art galleries, Dolly’s Bookstore, and Burns Cowboy Shop, specializing in boots and hats — we find ourselves at the far east end of Main Street, home to Wasatch Brew Pub. With March Madness on the giant TVs and room to spread out at a spacious upstairs table, the adults drink local brews (including Polygamy porter) and everyone enjoys better-than-expected items from the long menu of bar food. As a bonus, the prices are low for a ski town: Dinner for nine, with drinks and tip, totals just $203. Bald Mountain at Deer Valley. On our final day, we make use of our rental cars for the short drive to Deer Valley (deervalley.com). This resort’s service mentality is instantly apparent. Ambassadors are everywhere, reading guests’ faces for signs of confusion and stepping in to assist. On the slopes, our group appreciates the lack of snowboarders (one of whom had crashed into my niece at Park City the prior day), and although we didn’t experience long lift lines at either resort, knowing that Deer Valley caps its daily ticket sales provides assurance it won’t be a problem here. The service mentality extends well up the mountain. Every ski area posts large maps of its trails near the top of every lift, but at Deer Valley, an employee stands beside each map, offering personalized guidance. Patty takes charge, turning these guides into the ski equivalent of Amazon’s recommendation engine: “We’ve been skiing on Hawkeye and are ready for something a little bit steeper — what would you recommend?” Every time, they point us in the right direction — and at lunchtime, one directs us to the least busy of Deer Valley’s 14 restaurants. Advanced skiers tend to prefer Park City Mountain to Deer Valley because the former is more challenging. 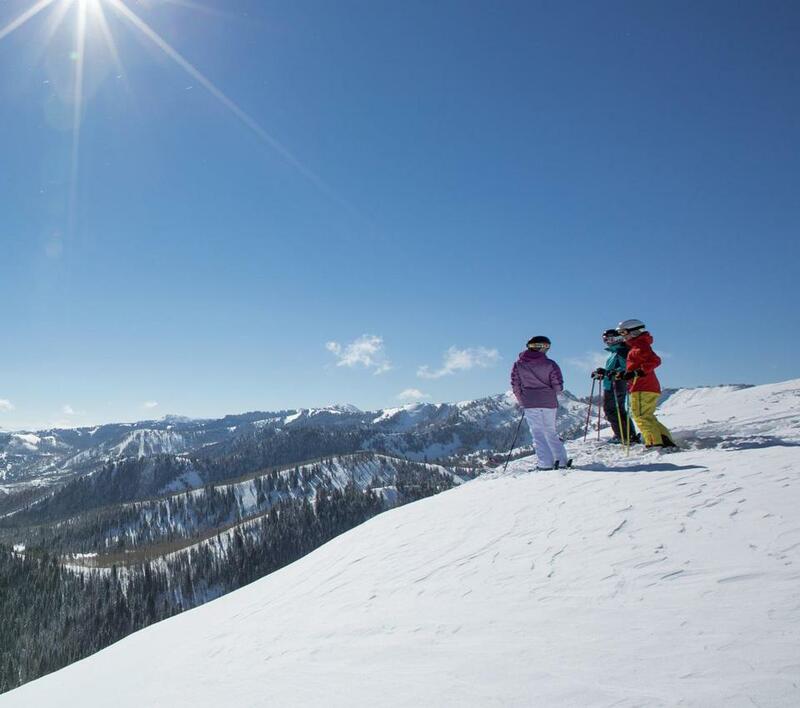 That’s true: At Deer Valley, 27 percent of the trails are rated for beginners, and five of the six peaks have green slopes coming down from the top. Indeed, Park City Mountain offers more of everything, and I could happily ski there for an entire week. But if I had to choose between them for a single day of skiing, the service and manageability of Deer Valley make it hard to beat. Some people complain that Deer Valley is more expensive, but that’s true only by degree: For this coming winter, an advance-purchase non-holiday daily lift ticket at Park City costs $110 versus $135 at Deer Valley. Toward the end of our final day on skis, my sister leads our group down a bumpy intermediate slope. I bring up the rear, and from the bottom she watches me as I navigate the bottom half. “You look like you’re skiing better,” she says. “I think that lesson may have made a difference.” The timing is eerie: Just then, I’d been thinking the same thing. It’s a reminder that sometimes the subtle wax-on/wax-off method of instruction can be surprisingly effective.